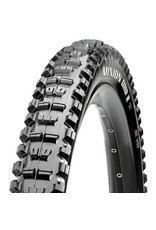 The trail version of the Maxxis Minion DHR II features the same tread pattern as its downhill counterpart, but uses a single-ply casing to reduce weight. With side knobs borrowed from the legendary Minion DHF, but widened to provide more support, the DHR II corners like no other. The center tread features ramped knobs to improve acceleration and sipes to create a smooth transition when leaning the bike. Paddle-like knobs on the center tread dig in under hard braking and help keep the bike under control. 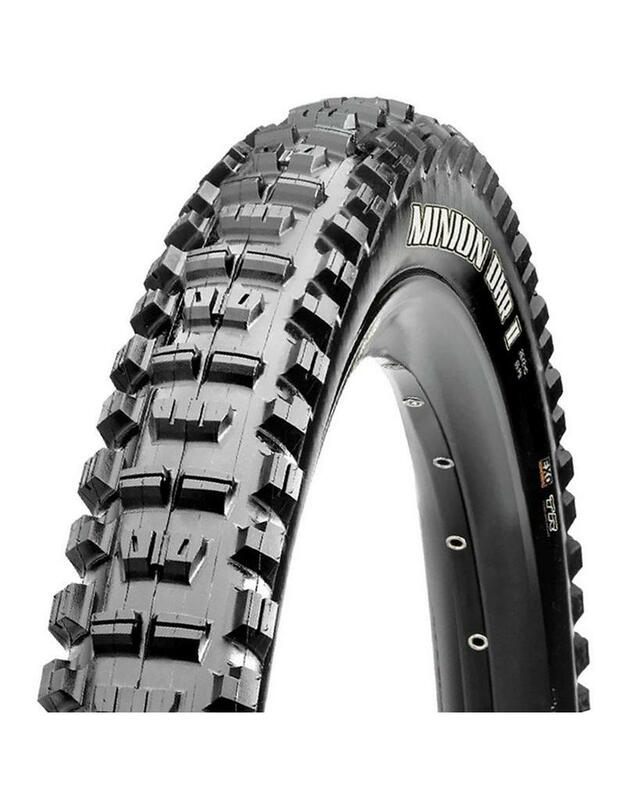 Pair it with a Minion DHF up front for the ultimate aggressive trail riding tire combo. Also works great as a front tire. 3C Maxx Terra - An intermediate compound configuration used in select mountain tires. 3C MaxxTerra is softer and offers more traction than 3C MaxxSpeed, yet provides better treadwear and less rolling resistance than MaxxGrip. Tubeless Ready - A Tubeless Ready bead securely locks to the rim and the foldable bead provides additional weight savings. EXO sidewalls - An extremely cut-resistant and abrasion-resistant material added to the sidewalls of select mountain tires. This densely woven fabric is also lightweight and highly flexible, ensuring that the performance of the tire remains unaffected. Choose EXO Protection for exceptionally rocky, treacherous trails where the chance of sidewall cuts and abrasions is high.